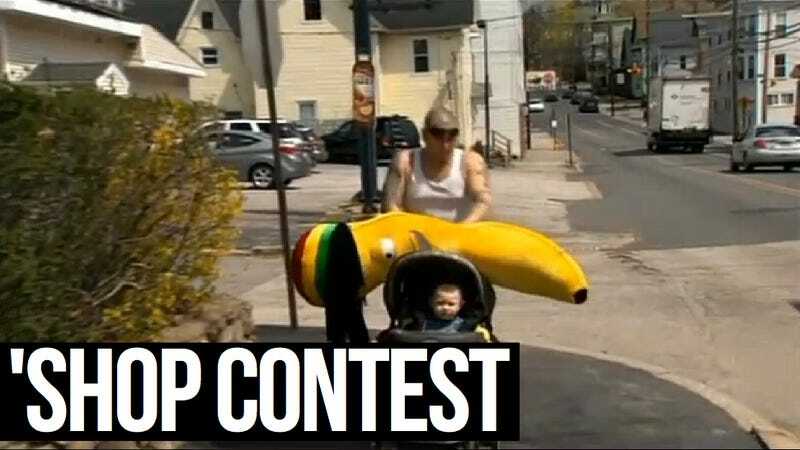 Let's spare a word of charity for Henry Gribbohm, who redefined "booby prize" when he spent his life's savings trying to win an Xbox 360 at a carnival game and instead walked away with an enormous dreadlocked banana, at the effective price of $2,600. That fairly calls for 'Shop Contest immortality, wouldn't you say? So make it happen. 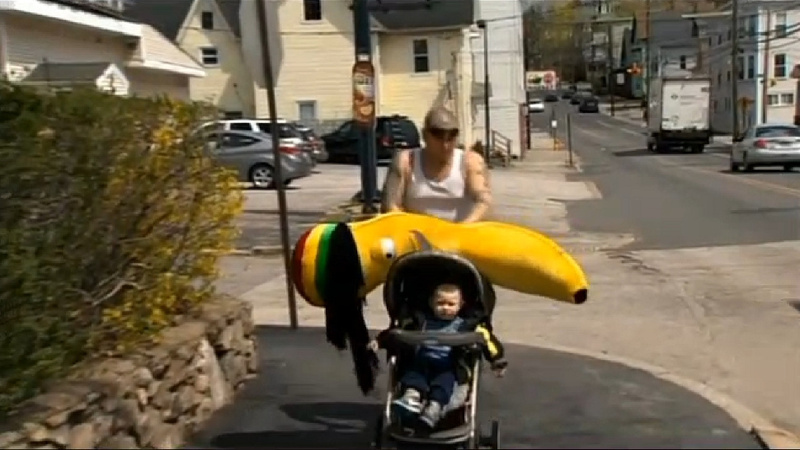 Our colleagues at Gawker supply this exploitable of Gribbohm, but the banana is partially obscured. All I can say is that a Google image search of his name turns up a lot more. And if that doesn't tickle your banana, here's a wild card: The juggalo from the Grand Theft Auto V trailers released this week. I'll accept submissions based on either. 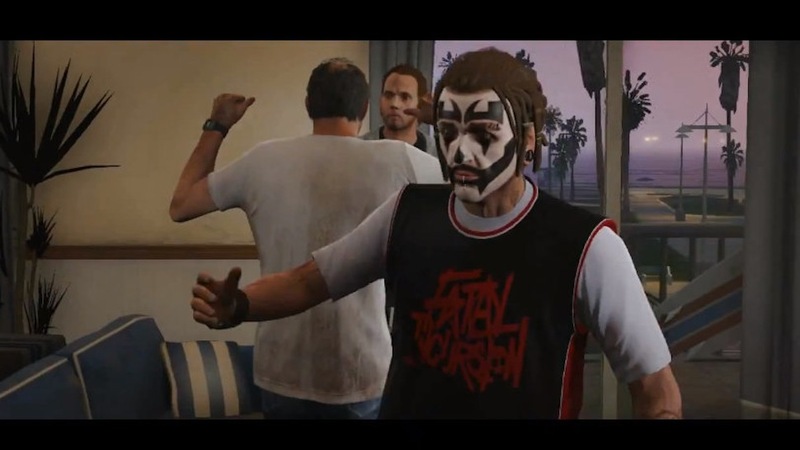 Looks Like There Will Be a Juggalo in GTA V. What Did You See? Source Image: Henry Gribbohm and the dreadlocked banana. Wild card: GTA V Juggalo.